For measuring the tree diameter there is a quadrature encoder connected to the track so that the encoder follows the amount of track opening and as a result gives a value relative to the diameter of the tree that is between the tracks. The encoder reading isn’t linear to the track opening so some calibration is needed. To get an idea of the relation between the encoder pulse values and the actual diameter some logs were measured and the readings written down. Here are the results. The line on top of the measured points is the result of a 10 point look up table fitted over the points. 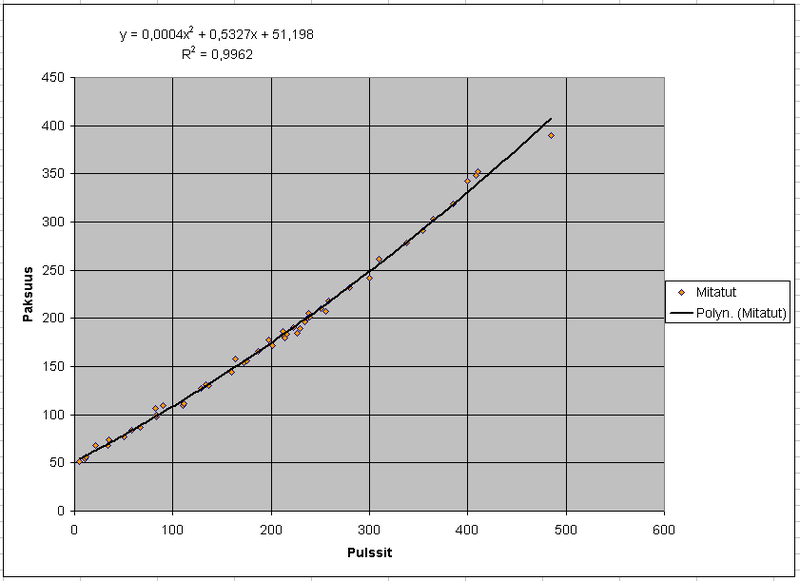 The relation between the pulse reading and actual diameter was more linear than I expected. 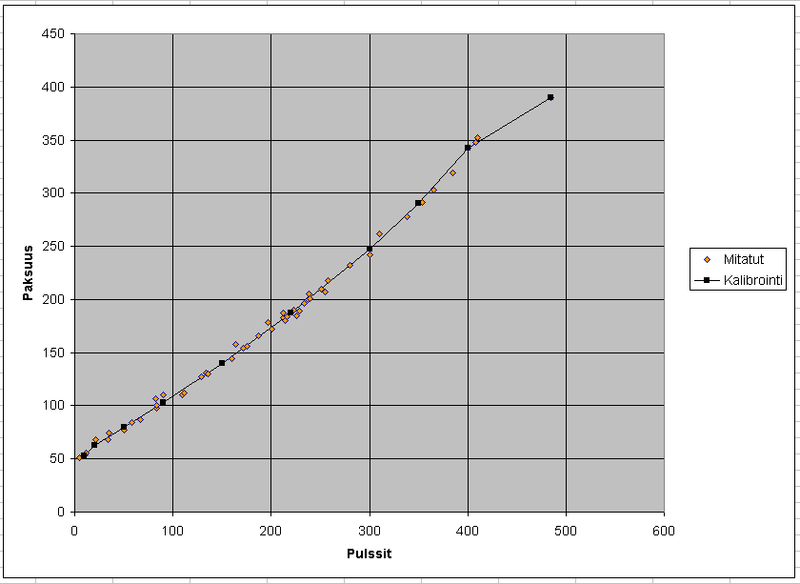 Certain parts of the curve need some additional data points to verify the behaviour. Here is a second degree polynom fitted to the points to see how accurate results could be had this way. This entry was posted on Wednesday, January 10th, 2007 at 2:08	and is filed under Harvester head. You can follow any responses to this entry through the RSS 2.0 feed. You can leave a response, or trackback from your own site.